Recently named one of the Top 50 New Restaurants by Bon Appetit, World Street Kitchen is truly worthy of this title. Minnesota has not seen a restaurant like this before. Yes, they do sell 40 ounce bottles of Miller High Life. There are many things that I appreciate about this restaurant such as ample parking on the side of the building, vegetarian options, and spice. It is really nice to have a place that doesn’t serve the same stuff as everyone else. That being said, most everything on the menu is pretty spicy for those of us with Mid-Western taste buds. This is not a bad thing, I really like it. But, I feel as though people should be warned that most of the food is more spicy than what you can find at other restaurants. The Bangkok Burrito: I have tried the Red Curry Burrito. It is spicy, creamy, and flavorful. If you ever need to get your sinuses cleared out this will do it. Watch out Chipotle, this is going to be the new burrito roaming the streets. Plate O’ Dips: As a fan of Saffron, I knew that the dips were going to live up to my expectations and they did. I would come here just to get this dish with pita. The hummus is so creamy. 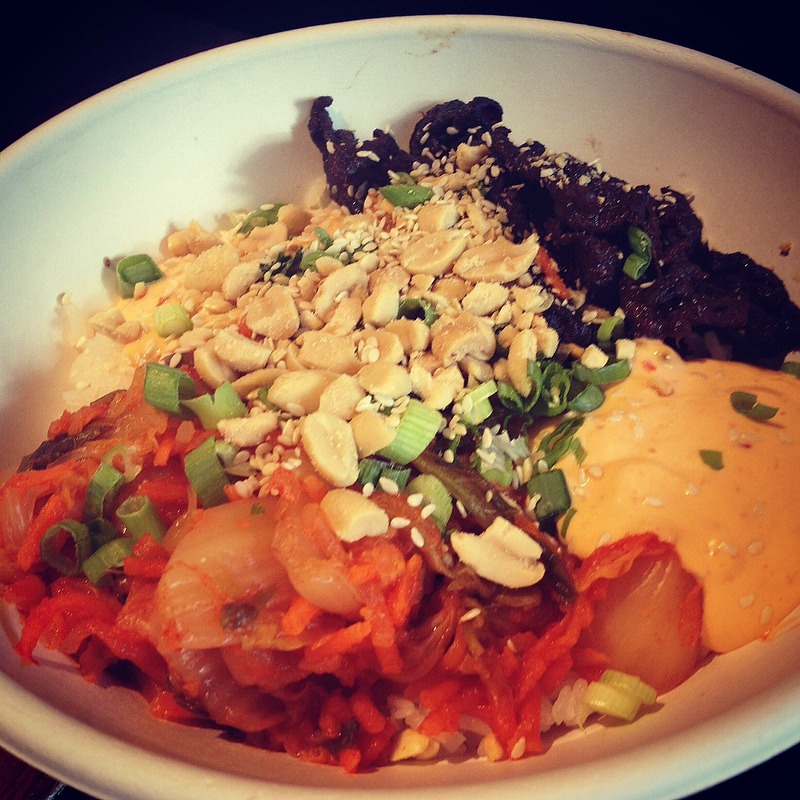 YumYum Rice Bowl: The short rib beef bowl was exactly why you come back to this restaurant over and over. That secret sauce and soft cooked egg make this dish one of the highlights of the menu. Just look at it. 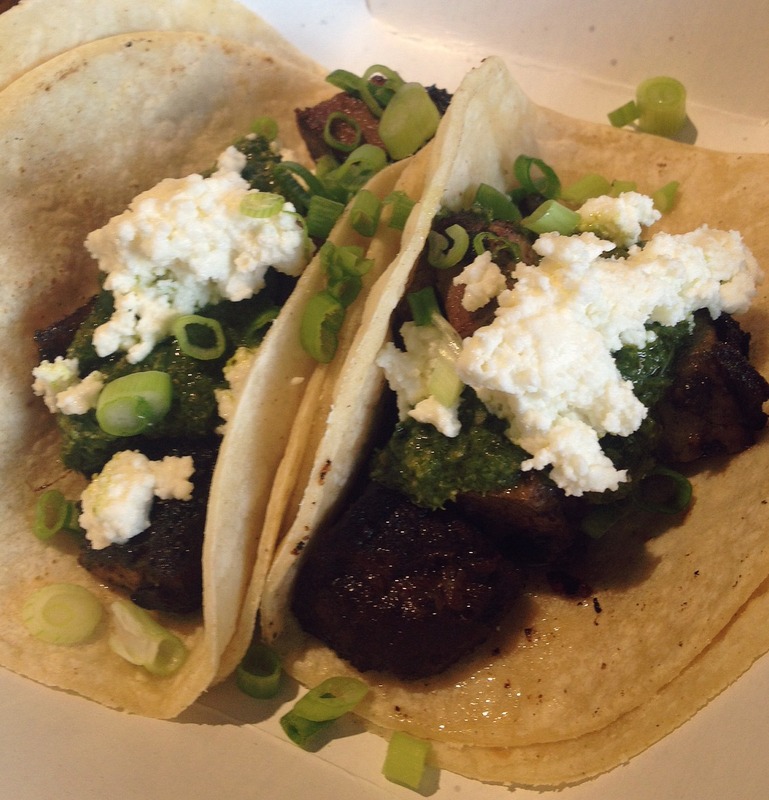 Jerk Beef Tacos: Meh, these were just okay compared to everything else that I tried. One of my tacos had a huge chunk of fat in it that was cubed. After having that surprise when I chomped down on it I didn’t care to eat anymore. Next time I want to try the MFC Biscuit Sandwich and a dessert. I have heard from multiple people that both are amazing. I should also note that this is a get up and order yourself place. There are no servers and it has more of a laid back vibe. I was a bit disappointed in the service that I got from the person I ordered from. I said specifically that it was my first time here and that I was not sure what was good. She looked at me annoyed that I was taking too much time to order. Remember you are a new restaurant which means that you might need to explain some of the menu to your new guests. Because any place that serves forties is cool in my book. You do! Welcome back to MN. Well that’s annoying that they reacted to your unsureties like that, not professional, especially for a place that regularly services unfamiliar ethnic food. And it’s so weird to see someone else post about a place I just did a few days ago myself, haha. Glad to see they’re doing the other food right too! To be honest, even if I have been somewhere before I say that to see if the server suggests anything. Hint-hint restaurants that is what I am looking for. She definitely did not bite on that hook but did give me the stink eye. I really liked the food and it made up for that service. 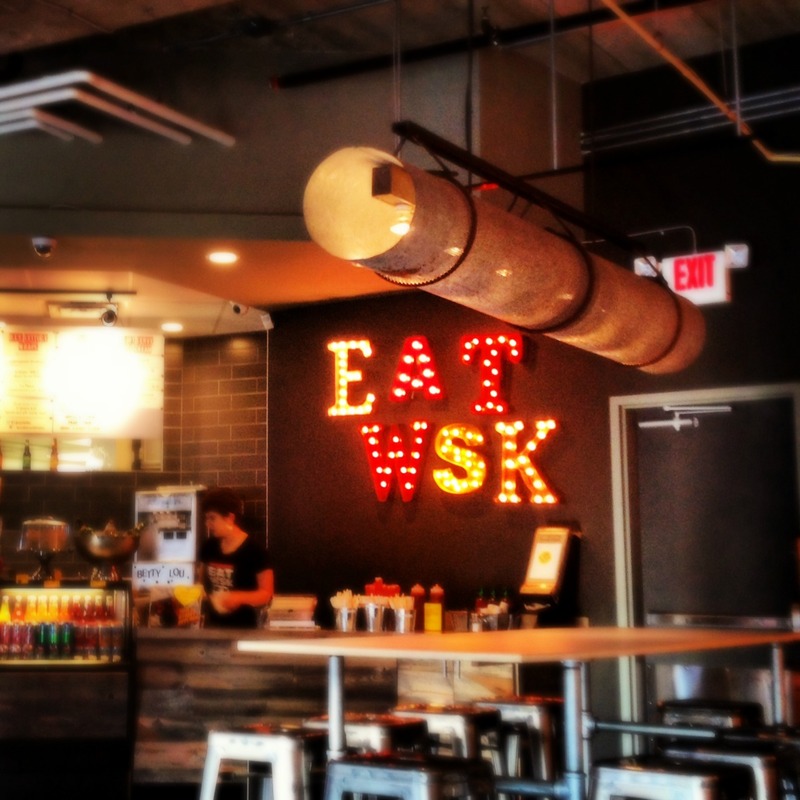 I think everyone who is a Foodie in Minneapolis is hitting up WSK now. It is quite the hotspot. 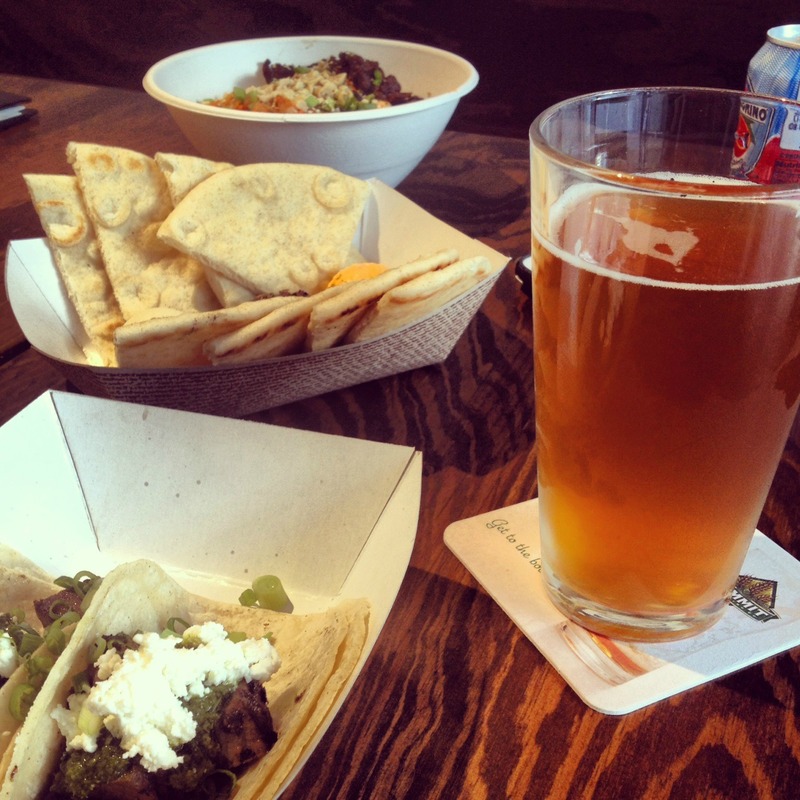 totally agree on the plate o’ dips….and it’s only $3 during their happy hour! Seriously…. NO WAY! I didn’t know that it was only $3 during happy hour…. oh this may be a dangerous discovery. Any other suggestions from the happy hour menu?